I received this ebook from the author in exchange for an honest review. I read the Kamas Trilogy bt this author so I was excited to read another of his books. Bride of a Bygone War did not disappoint. The story starts out a bit slowly for me. The author had to develop a batch of State Department and CIA types in the confines of the rather dismal world of diplomats. 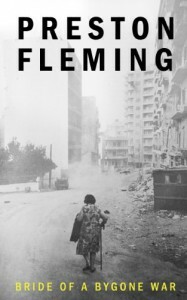 After a bit the story grew on me with the descriptions of the harsh conditions in Beirut and Lebanon. As the story progressed, the culture and history of Lebanon began to show through. So much in fact, that I took a break from reading the story to read about Lebanon in the 1970;s to 1990. It is an interesting history shared by three almost equal (in numbers) religions. This is an intriguing thriller with a large cast of interesting characters. The author has an obvious history of the diplomatic corps inner workings and the part of the Middle East enveloping Lebanon. A very enthralling story that should captivate all who read this book.